… Here are some things you really need to know! You probably already know that being an au pair is great way to work with kids, an awesome way to see the world, and the best way to dive right into another culture. However, before you start making this huge life-changing decision into a reality, there are some things you need to know about being an au pair in New Zealand. Being an au pair is not only extremely rewarding in terms of experience, wage, free accommodation and food, it’s also pretty tough merging into an existing family structure. You need to be able to find the right balance of being a part of the family and being an employee. That means knowing your rights as a worker in New Zealand too. Nevertheless, if you approach au pairing with an open mind and the ability to speak honestly with your hosts should any issues arise, then you’ll have a valuable au pairing experience. As for the more practical planning points you need to consider, we’ll list those below! Finding an au pair opportunity can be done in two ways: with an au pair agency or on job boards. Au pair agencies is the way to go if you want full support during your au pair job search. Agencies can pair you with their network of host families. They require both the au pair and host families to meet certain requirements so both parties get the best and fair experience. Of course, this means there is a fee to use these services however if you apply when you are already in NZ, some agencies may waive their fee and only charge you for the police check fee of NZ$10. Alternatively, some host families prefer to advertise au pair positions on job boards (like the BackpackerGuide.NZ job board) where they can set their own rules and conditions. Plus, it’s free. Before you start job hunting, you need to see if you are even able to work in New Zealand. The easiest way to do that is with a working holiday visa. A New Zealand working holiday visa allows people from over 40 countries to work and travel for up to 6, 12 or 23 months. Find out more about the working holiday visa for New Zealand in What is a Working Holiday Visa? If you’re reading this without Google Translate, then we’re betting you’re going to meet the required English level for most host families. Your English doesn’t need to be the best. Plus, a lot of host families expect non-native English speakers to be coming to New Zealand to improve their English so will be happy to help. Being bilingual, especially with French or German, is another advantage for some hosts who want to teach their children other languages. Having a driving license will open up so many more au pair opportunities to you, as host families will likely want you to drive the kids to school. If you’re driving license is written in English, it will be accepted in New Zealand. If not, then you will also need an International Driving Permit as well as your driving license when driving in New Zealand. Before you hit the road, be sure to wise up on the New Zealand road rules. Most au pair agencies require you to have a certain amount of hours in childcare, whether it’s babysitting, experience in a kindergarten, being a school teacher or more. However, independent hosts advertising on job boards will outline any experience required, if any. For the well-being of the children, hosts usually prefer to have au pairs for between 6 to 12 months. At least a 6 months agreement is made when using an au pair agency. However, if you feel that your host family is not a good match, you are allowed to be matched with another host family within this time. For more short-term au pair jobs, look at job boards. For obvious reasons, au pair agencies in particular will require you to have a clean police record. It’s likely that they will ask for police certificates from countries that you have spent a long time in within the last 10 years. Police certificates are usually easy to order online on your country’s police website. While in some countries, it’s free to get a police certificate, others will incur a fee. 8. Know what’s in it for you! The usual deal with au pairing is that you will get free accommodation, free food and a weekly wage. Although what benefits you’ll receive with independent host families vary, au pair agencies usually follow a structure similar to: free accommodation, free food, a weekly wage of NZ$120-$320, one or two days off a week, a few weeks’ holiday (sometime paid), a completion bonus for staying with the family for the entire duration agreed on, a training course, and trips/activities with the host family. It sounds silly, but some people just see the advantages of “free accommodation, free food AND being paid” as a way to see the world on the cheap. This should not be your primary motivation, as a lot of your time will be revolved around the children and the family you are with. Working with children and experiencing New Zealand family life should be your main focus. 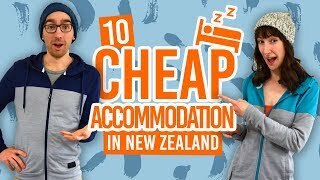 Otherwise, you might want to look at these other ways to work for accommodation in New Zealand. How Much Money Do You Need for a Working Holiday in New Zealand?